When it comes to an appealing SUV that can deliver, look no further than our 2013 Ford Expedition XLT displayed here in TuxedoBlack. Powered by a proven 5.4 Liter V8 that cranks out 310hp on demand and mated to a smooth 6 Speed Automatic, it secures near 20mpg on the open road. 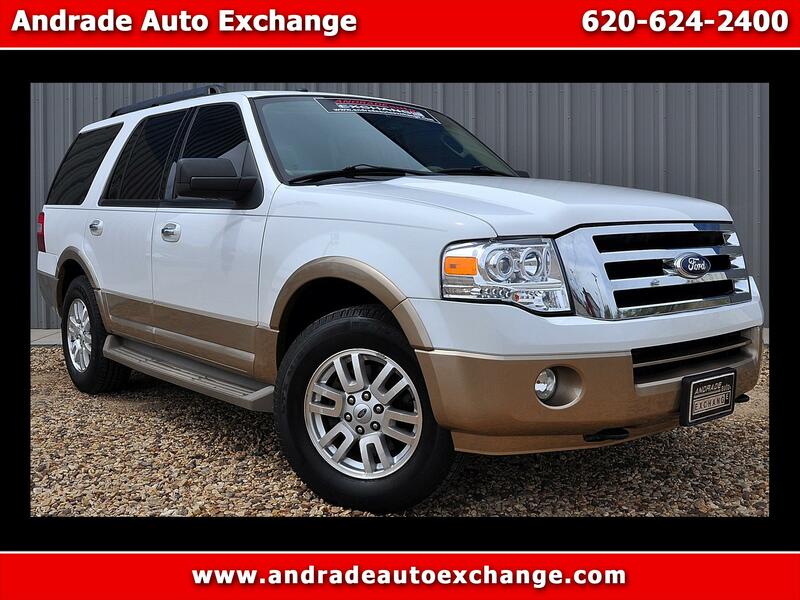 Contrasting body trim, 18" alloy wheels, a luggage rack, running boards, and fog lamps accentuate this sure-footed 4WD family hauler that is also equipped to tow 9,200lbs of toys. Once inside, you'll experience the ambience of a large sunroof and the luxe heated and cooled front leather seats. Premium touchscreen navigation with HD radio and Sirius Travel Link service puts you in touch with the latest news, weather and real-time traffic information. You'll feel confident with a rearview camera, and enjoy the convenience of heated mirrors, a power liftgate and a power-folding third row seat. Our Expedition has exemplary safety ratings with airbags, SOS post crash alert, tire pressure monitoring and stability control. Intuitively designed MyKey even allows you to set controls for young drivers to keep them safe while learning the rules of the road. Family-friendly has never been so attractive and capable. Print this page and call us Now... We Know You Will Enjoy Your Test Drive Towards Ownership!